When it comes to natural bath and body products, kai has been one of our long-time favorites. We first fell in love with their swoon-worthy perfume, then their body wash, lotion, bubble bath… well, you get the idea. If you favor floral scents that aren’t heavy and cloying, you will love kai too. We are always getting asked for natural deodorant recommendations–you’d think that “natural” would be synonymous with “gentle,” but if you have sensitive skin, you probably know that natural deo rashes are no joke! We love that this deodorant is gentle on skin, controlling moisture with sugar and keeping skin soft with the help of vitamin E, chamomile, and plant extracts. And, as you’d expect from kai, it smells dreamy. Oh my goodness, this little buffer is amazing! If you love the exfoliation of a loofah but not the intense scrubby-ness (that’s a word, right? 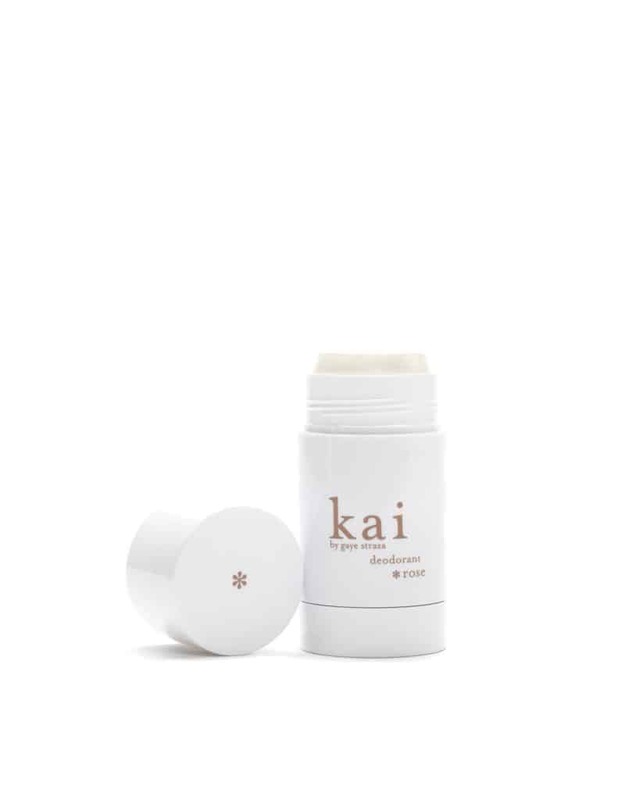 ), the kai Body Buffer is the perfect balance–it exfoliates gently while also moisturizing your skin. It’s great for having in the shower as we transition to colder weather and it’s one of those little extras that help you create a spa-like experience in your bathroom. We’re teaming up with our friends at kai to give 1 lucky Hello Glow reader a $200 gift code to their website so you can stock up on all their lovely products! Enter using the form below. Good luck! The kai*rose deodorant sounds good. I would like to try the Kai Body Wash in rose. I’d love to try the hand cream or the body lotion. Would love to try the kai*rose perfume oil. I would love to try the body glow! The Kai Rose Body Wash sounds absolutely amazing!! I would like to try the kai*rose body butter! The kai*rose body butter looks so refreshing. I want to try the kai*rose eau de parfum! I would love to wear the eau de parfum. i would like the kai rose body buffer. My wife would like to try the body glow. The body glow! It sounds amazing. I would like to try the body wash – it sounds wonderful! I’d love to have the kai*rose perfume oil. It sounds like an amazing product. I would love to try the Body Lotion. Thanks for having the contest. I would like to try out the kai*rose body wash first and foremost. I would love to try the body wash. I would love to try the Kai Body Butter. I would like to try the body buffer. I would love to try the bath bubbles. I want to try their deodorant! I would love to try perfume iol. I would like to try the body glow. I would love to try the shampoo and conditioner! I love candles so I would like to try the skylight candle. Since my name is Rose I think their kai*rose body lotion and body wash sound wonderful! Thanks and God bless! I’d like to try the room linen spray. I would love to try the bathing bubbles! I’d most like to try the room-linen spray! The kai skylight candle is mt item of choice! I would really like to try the perfume oil and skylight candle. I want to try the kai rose body lotion. I want to try the room & Linen spray! I would like to try the deodorant, since I am sensitive to almost any one I have tried. I would love to try the signature Kai body polish. I would love to try the Skylight Candle! I’m most interested in the kai*rose perfume oil. I love the look of the bath bubbles! I want to try the body glow. I would love to try the kai*rose body wash. I would love to try the Kai eau de parfum! I would like to try the Kai Body Glow nd perfume oil. I would like to try the Kai Body Glow product. I would try the linen spray. I would really like to try the Kai body glow. These products are all new to me , but i would love to try them.Thanks!!!!!!!!!! I would like to try the perfume oil! I would to try the body buffers. I would like to try Kai perfume oil. I would love to try the shampoo and conditioner. I’d like to give the kai signature fine linen wash. I would love to try their nightlight candle and shampoo and conditioner. The body polish is something I would most likely like! I live and live the body buffer! I would like to try kai*rose body wash. I would purchase the perfume oil . I love the perfume, I’d really love to try the new rose deodorant. I’d like to try the body butter and body wash. The rose deodorant sounds incredible. Thanks for the giveaway. I don’t use Instagram, sorry! But I would love to try the body glow! I would like to try the Kai Rose Deodorant. I’ve been looking for something natural with a light fragrance. I would like to try the Body Polish. I would love to try the deodorant. I would like to try the Kai shampoo. As well as the bathing bubbles. The body lotion; my skin is craving moisture! Thank you for being cruelty-free. I’d love to try their eau du parfum. I could really use a new perfume. I would love to try the deodorant. I can not use traditional because of an aluminum allergy, so, it’s nice to find new products I can use . I’d like to try the shampoo and conditioner. I want to try kai*rose perfume oil! I am also on the lookout for a good natural deodorant, so i’d love to try the kai*rose deodorant. id like to try the reed diffuser in my room! I would love to try the Signature Kai Perfume Oil. My hands need that awesome looking hand cream now that it’s getting cold and dry outside. And the candle. The body butter looks amazing! I’d like to try the signature parfum. My mom’s favorite scent was gardenia. I’d love to wear this scent and think of her on her birthday October 5th. Would love to try the room-linen spray! I would like to try their shampoo. I would like to try the kai rose deodorant. I never knew that sugar was a factor in controlling wetness. I move about a lot, especially at work so I would need the extra protection. I also want to get away from aluminum in deodorant; breast cancer in my family is prevalent- unfortunately. I would love to try the Kai deodorant. I would love to try the signature kai bathing bubbles & body wash.
I’d like to try the reed diffuser. I would like to try the kai*rose body wash.
What a nice giveaway! I would love to try the kai*rose eau de parfum. I want to try their perfume oil! I’d like to try their eau de parfum. Thanks for the giveaway! I’d love to try the hand cream because my skin is so dry in the winter! I’d like to try the shampoo. It seems so basic to choose shampoo, but I’m always looking for unique shampoos for my hair. Hi, all! I would love to try the Kai shampoo! 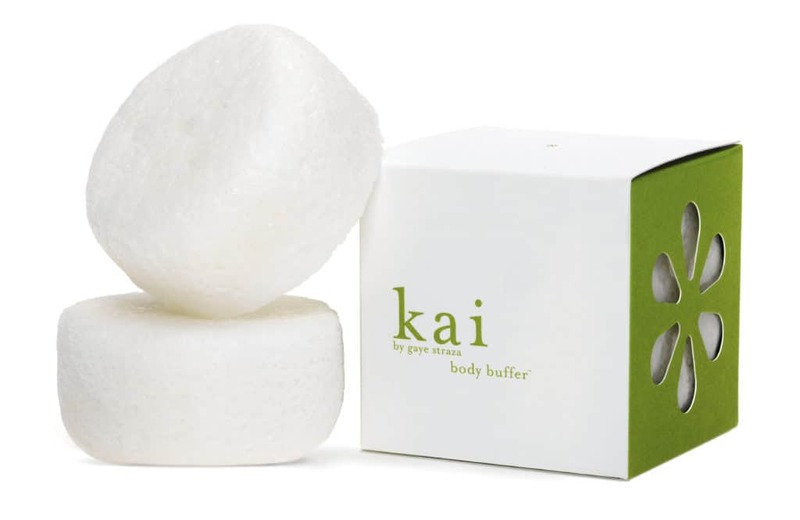 I would love to try the Kai Body Buffer. I’d like to try the body buffer and the shampoo.